We always wanted to do something unconventional. We approached many crossroads throughout our lives that eventually led to falling in love with the mountains of Western North Carolina at the same time we discovered the tiny house movement. Our tiny home and the state of North Carolina area intrinsically linked. We literally couldn’t have one without the other. Becoming involved in the tiny house movement and community has opened our lives to so many new opportunities, and I am grateful. Several years ago, I helped found TinyHouseNC, an organization dedicated to supporting the tiny house movement in our state. Today, the original group passed the reins to Andrew Odom, of Tiny r(E)volution, and he is working hard to continue the mission. Which is why I was so excited when he began to talk about his vision for the 2017 TinyHouseNC Street Festival. 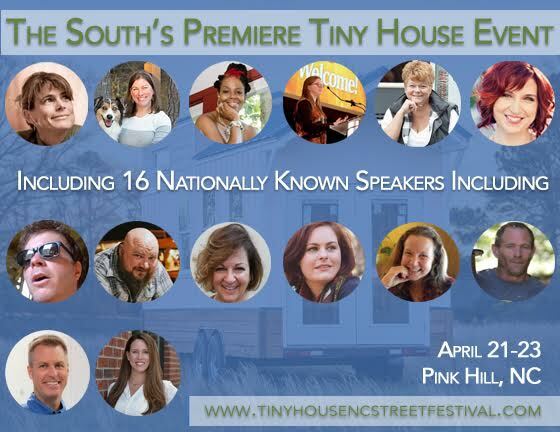 It is the first, and largest, North Carolina-specific tiny house event and it’s happening in Eastern Carolina on April 21st through 23rd this year. North Carolina is a gorgeous state with so much diversity in its landscape. You can travel from the Mountains to the Sea and through the piedmont, farmlands, and historic cities without leaving the state boarders. I’m grateful that I discovered NC, it makes me feel more at home than any place before. 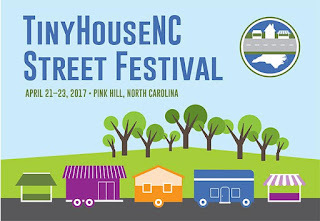 And I’m so excited to represent WNC at the first Tiny House NC Street Festival. 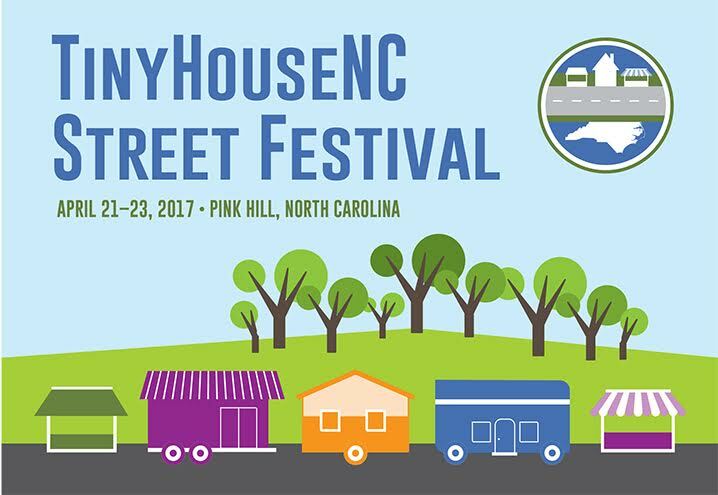 The event will feature the largest assembly of tiny homes in North Carolina, including 15 professionally built models, trailer samples, and several DIY builds. But what I am most excited about is gathering with others from all corners of the Tiny House community. Since building my own home, I have been honored to be included in the company of several luminaries and I have never once been disappointed after meeting another tiny house personality. And, once again, we’ll be in the same place at the same time. I am looking forward to seeing Dee Williams and so many other tiny house friends again. And, I’m even more excited about reconnecting over a few beers from Mother Earth Brewing, a festival sponsor. Craft beer is a thing I love as much as tiny houses, so that’s pretty awesome. There will also be several North Carolina specific Tiny House speakers at the Street Festival. Friends, like Christian Parsons and Alexis Stephens, who have been traveling the country making a documentary called “Living Tiny Legally.” I’m super excited to meet Jewel Pearson, whom I’ve known online for a while but, in spite of living only 2 hours away from me, haven’t had the pleasure of meeting yet. There are so many people I’m looking forward to seeing. It’s like a tiny house family reunion. On top of tiny homes and speakers, I am also excited about some of the sponsors. Drew has really rocked this festival planning thing. It’s like he was born to do it or something. I already mentioned Mother Earth Brewing, my favorite NC brewery outside of the robust Asheville beer scene. And I’m kind of fangirling over the possibility of meeting Chef & The Farmer restaurant owners, Vivian Howard and Ben Knight. I binged watched their PBS series, A Chef’s Life, because I love seeing how culture and food intertwine in Eastern North Carolina, just like it does in WNC. Yeah, they’re sponsoring the event too! The event will be held in Pink Hill, just outside of Kinston, North Carolina. And even local businesses, like the Pink Hill Pharmacy, are getting in on the sponsorship action. North Carolina communities throughout the state are seeing the value of tiny homes, and we appreciate that support. Honestly, I started writing this post as a quick social media marketing message and it got out of hand. I mean, I haven’t really even blogged since September of last year, but I am so excited about this event I couldn’t stop writing. 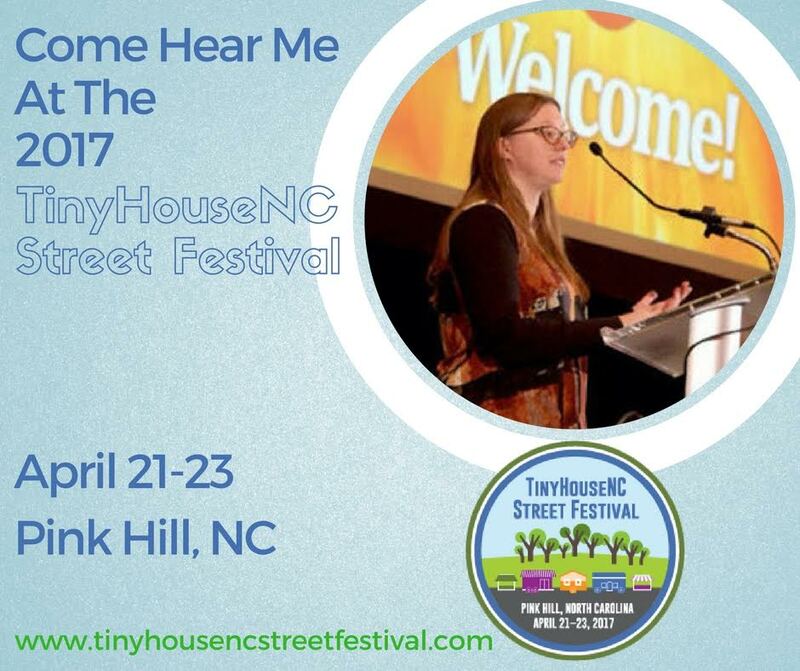 I can’t wait to see everyoneat the 2017 TinyHouseNC Street Festival in Pink Hill NC on April 21-23rd. I hope you’ll be one of those people.